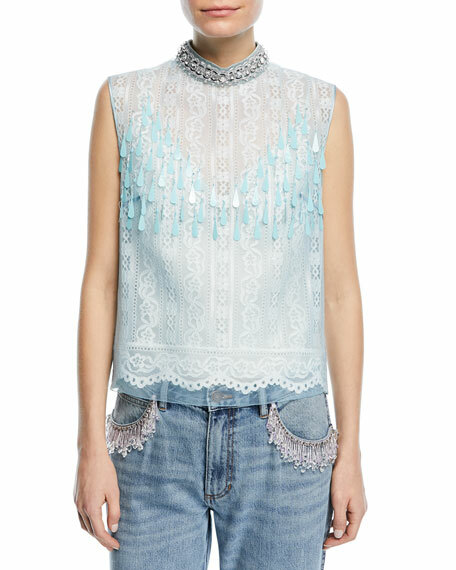 Marc Jacobs top with lace front and paillette details. 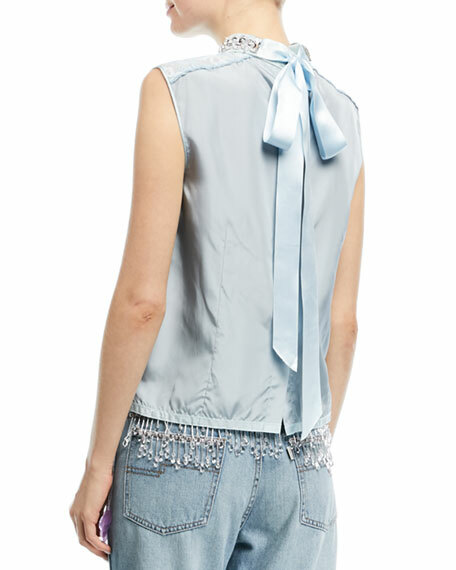 Jeweled choker collar ties behind neck. For in-store inquiries, use sku #2354932.